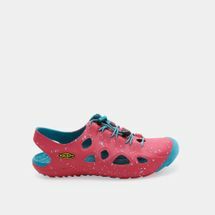 Wrap your kids' feet in Keen's Rio Youth Sandals. A soft EVA injection molded construction keeps the feet comfortable while built-in arch support provides stability. Superb traction paired with a sleek modern style makes these sandals a must-have for every outdoor activity.